Hi Lisa, Hope your Thanksgiving was special! I love your cards posted above! What a cute picture of you! Thanks so much for sharing your wonderful creativity with all of us! You are a special person! Thank You Cherie! I am so blessed to have your support and encouragement. Your posts always make my day. 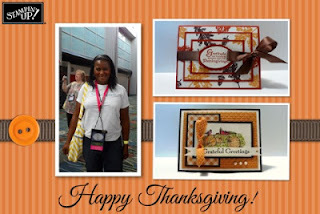 I hope your Thanksgiving was wonderful and I look forward to sharing more projects with you!